While driving in Mexico we see a lot of these little religious memorials along the side of the road, usually at a sharp turn. They are usually filled with little religious statues and candles. We think they are locations where someone has died in an auto accident. Entering the town of Mulege. It feels like another world here. 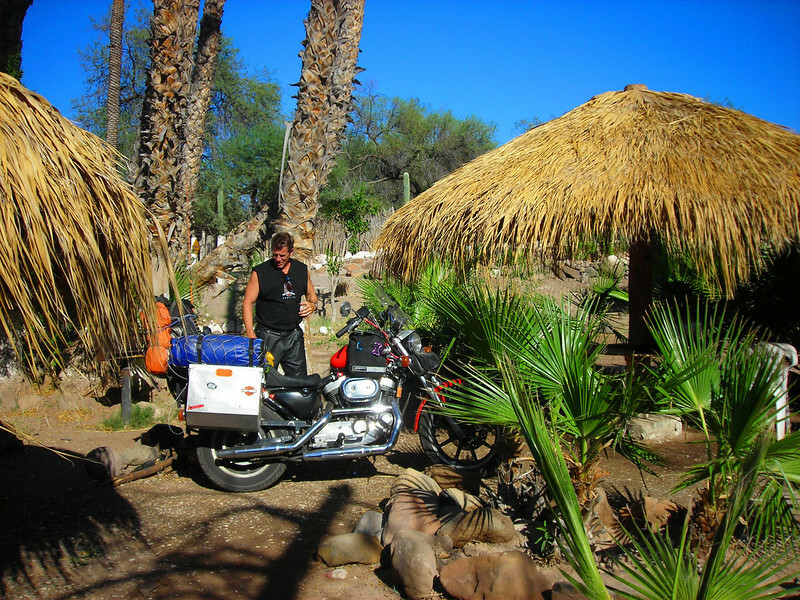 After riding along in dry desert and cacti then bam, palm trees everywhere. Before leaving town we see a sign saying “Villa Maria Isabel - RV - Camping – Pool” We gotta check this out. $13.50 a night. Looks good to me!